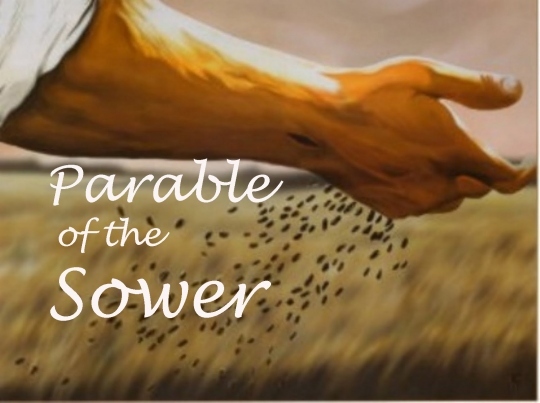 These parables explain how God is at work in the world today. The kingdom of heaven is not the true church, for the kingdom of heaven contains both true and false, saved and lost. The kingdom of heaven is made up of all who profess any kind of allegiance to the King. God is sowing His Word in human hearts and looking for fruit (vv. 1-9, 18-23). He is sowing His people in the world where they can produce a harvest (vv. 24-30, 36-43). At the end of the age, He will separate the true from the false and the good from the bad. Does your heart receive the Word? The seed has life and power and can produce a harvest of blessing in your life. Do you hear it? Can God “plant you” where He wants you? You are a seed containing His divine life, but a seed must be planted to produce fruit (John 12:23-28). Do you share with others what He teaches you (51-52)? Truth must not be hoarded; it must be shared so that others can be saved and built up in the faith. The word parable comes from a Greek word that means “to throw alongside.” Jesus used the familiar to teach the unfamiliar (“things new and old” Matt. 13:52). He did that not to hide the truth but to arouse interest in the truth (Matt. 13:13-15). He wanted to get the people to open their eyes and ears and receive the truth into their sluggish hearts. 1. Pray that your heart will be a good soil for the word of God. “And he said, Unto you it is given to know the mysteries of the kingdom of God …”- Luke 8:10. This entry was posted on Sunday, January 13th, 2013 at 8:36 am	and posted in Uncategorized. You can follow any responses to this entry through the RSS 2.0 feed.